Caught this article down at the Wall Street Journal and while in some ways it may seem dry to you, I figure that if the WSJ is posting on this - hey - I think we should all know about - or at least the fact that it's coming from the WSJ (because I can't remember the last time I've linked to them). 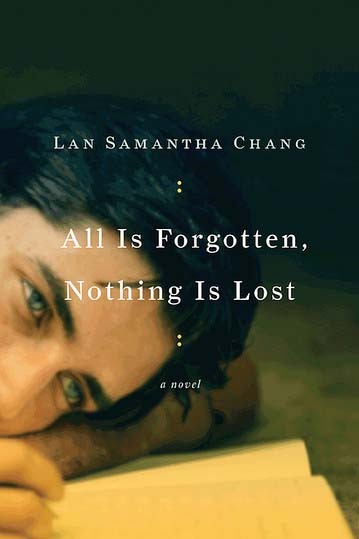 The novel, Chang’s third, is about the friendships forged between student poets at a renowned writing school – and all the secrets, perceived betrayals, and complicated emotions that arise as these friends go on to pursue lives devoted to art. The AAWW invited four emerging writers to read before Chang – two poets and two fiction writers who are current creative-writing MFA students in New York City. The effect was not only the pleasant introduction to the promise of these young writers, but a glimpse of the life and passions of a writing student. When Chang stepped on stage, the crowd instantly warmed to her — for a writer of her pedigree, she is refreshingly down-to-earth and approachable. She is the director of the prestigious Iowa Writers’ Workshop, where she also received her MFA, and she has studied at Yale, Harvard, and Stanford. She has received many accolades for her work, including a Guggenheim Fellowship and the Wallace Stegner Fellowship.